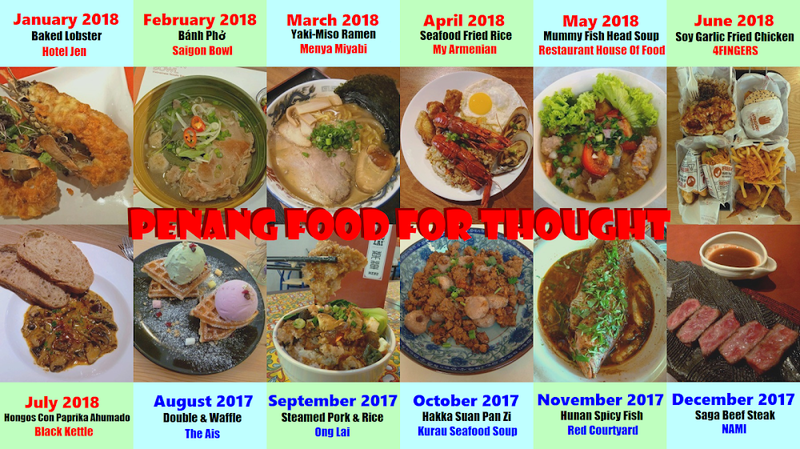 Launched in 2018, Hotel Jen's "Get.Set.Eat" initiative strives to promote the unique flavors of local food vendors. 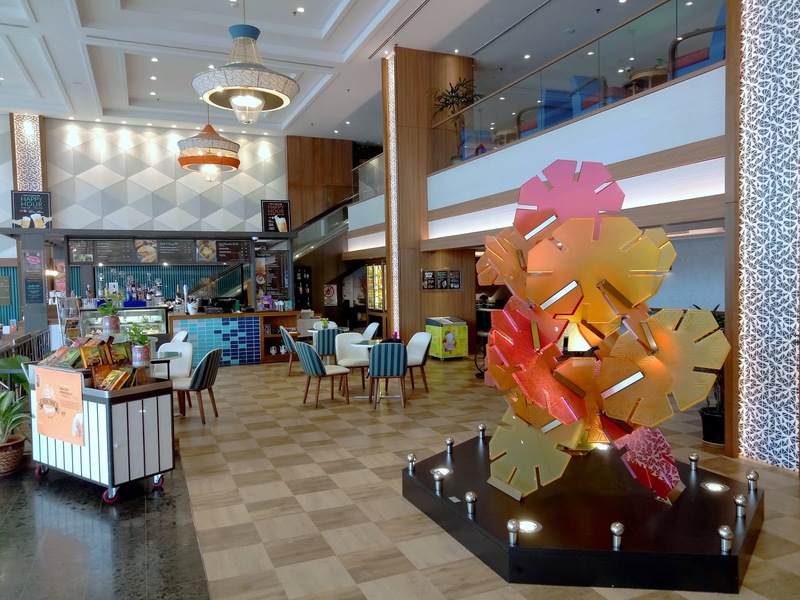 To this end, Hotel Jen Penang has erected a pop-up stall at the Lobby Lounge. During this iteration, the hotel is collaborating with Ban Heang (万香), a renowned pastry brand with several retail outlets throughout Penang. From 18 March 2019 to 29 March 2019, the pop-up stall offers Ban Heang's signature Tambun biscuits (淡汶饼) for sale. There are 4 flavors to choose from: Original, Red Bean, Pandan and Durian. 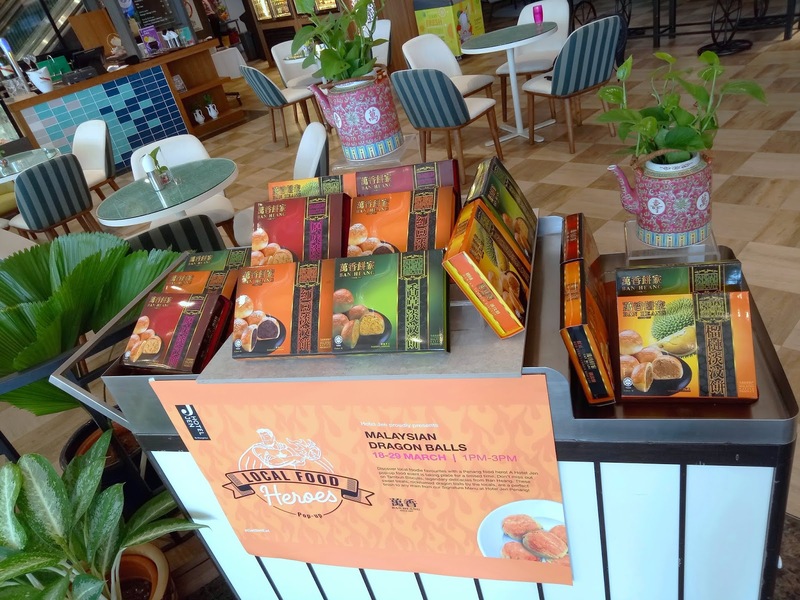 Each box is priced at RM10.00, with the exception of the Durian version which sells at RM15.00. The stall is formally open from 1:00pm to 3:00pm. In practice, customers can purchase the products at any time within these 12 days. Tambun biscuits are similar to "tau sar piah" (豆沙饼) but are smaller in size. The round, flaky pastries are filled with a sweet center. Main ingredients are flour, sugar and mung bean paste. 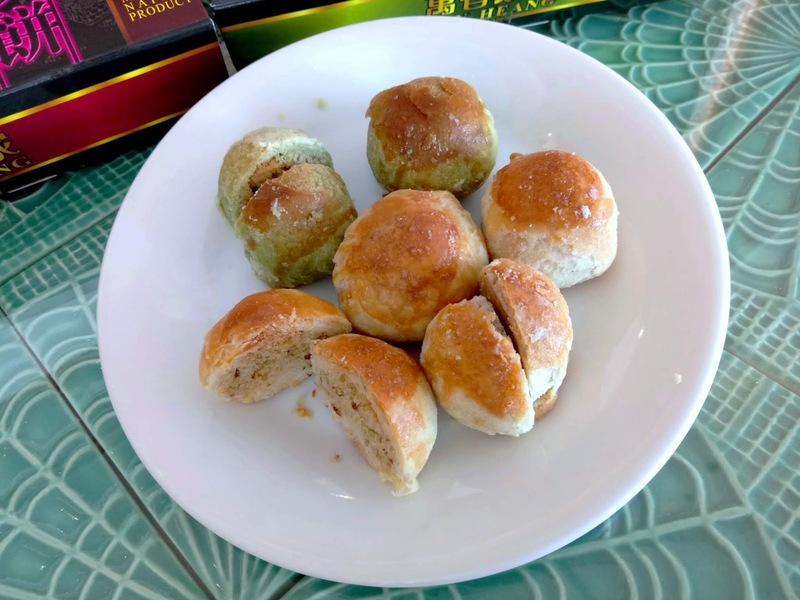 As the name implies, Tambun biscuits are believed to originate in Bukit Tambun. Ban Heang's Tambun biscuits are vacuum packed and come in presentable packaging, making them ideal as gifts or souvenirs. 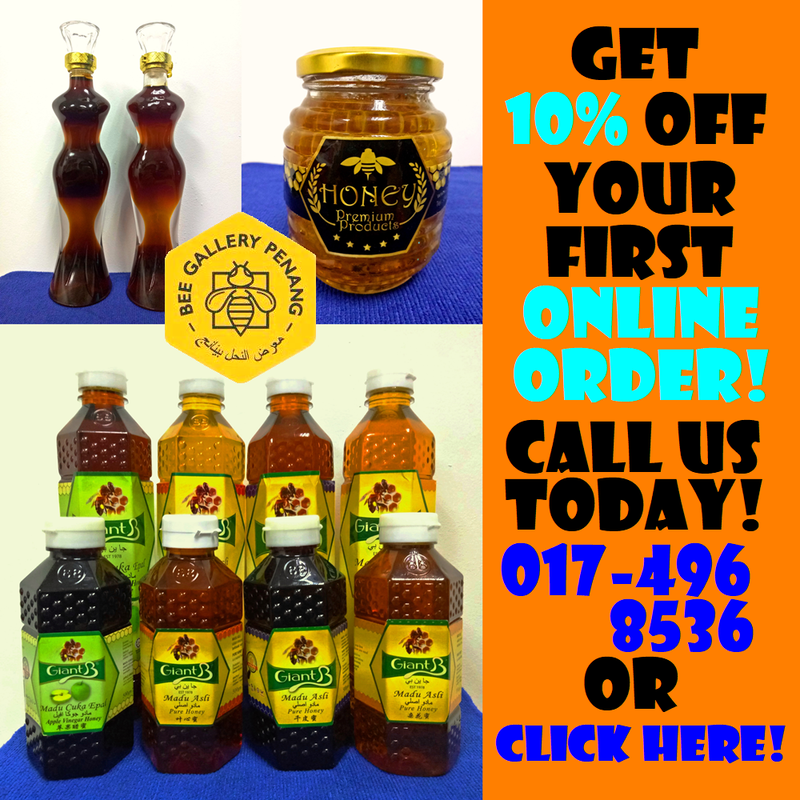 By the way, Ban Heang's products have obtained halal certification. 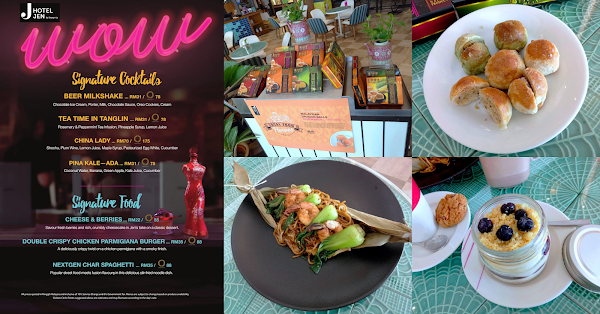 In parallel with the pop-up stall, Hotel Jen Penang takes this opportunity to promote signature dishes from its à la carte menu. For instance, NEXTGen Char Spaghetti (RM35.00) is inspired by Penang's iconic char koay teow (炒粿条). But instead of flat rice noodles, spaghetti is used instead. 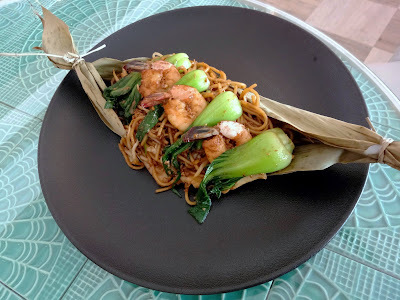 The pasta is stir-fried with shrimps, bean sprouts, soy sauce, chili and bok choy (小白菜). I am certain that the spaghetti needs to be blanched before entering the wok. 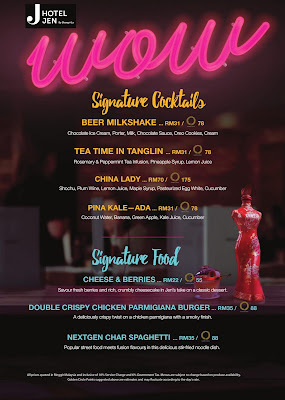 As for signature beverages, one of the bestsellers is Beer Milkshake (RM31.00). To prepare this drink, chocolate ice cream is blended with fresh milk and porter beer. The emulsion is then garnished with whipped cream, chocolate drizzle and a chocolate cookie. 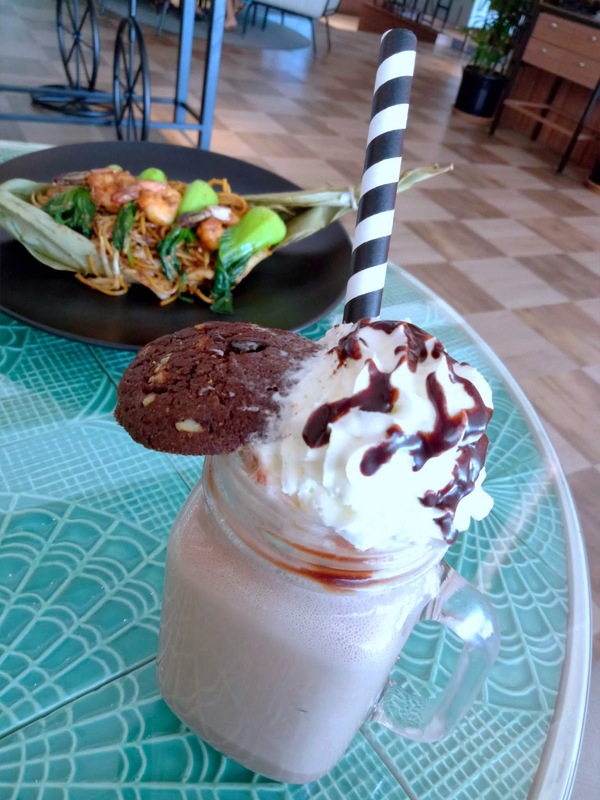 Since early 2018, all Shangri-La properties have ceased using plastic straws in order to reduce plastic waste. Instead, paper straws are provided upon request. 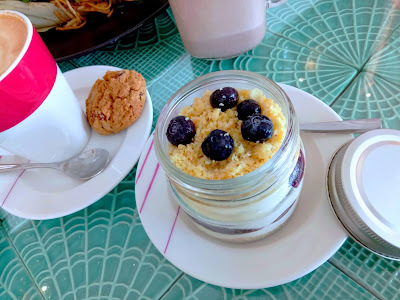 As for dessert, Cheese & Berries (RM22.00) is presented in a dainty glass jar. The rich, creamy mousse is topped with cheesecake crumbs, fresh blueberries and blueberry sauce. This dessert is the perfect treat if you have an affinity for cheese. Of course, you may need to cleanse your palate afterwards with a cup of coffee. Golden Circle members enjoy RM5.00 savings on the NEXTGen Char Spaghetti and Beer Milkshake. Non-members can also enjoy the special price by signing up on the spot. This promotion is offered until 29 March 2019 only. In lieu of cash, customers may also make payment using Golden Circle points.